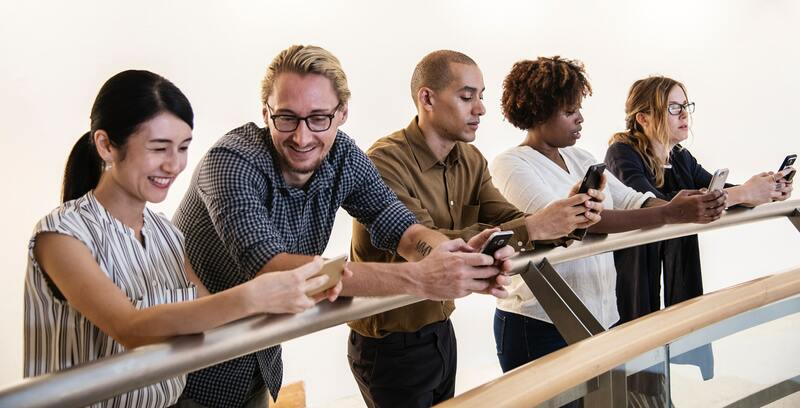 A study on attention spans conducted by the Canadian Consumer Insights team at Microsoft has been a hot topic among marketing professionals since its publication back in 2015. Findings in the report showed the average human attention span as dwindling – from 12 seconds in 2000 – to 8 seconds in 2013. In response, several marketers have shifted their campaign strategies to create shorter content for their audiences, hoping to capture their attention with content that doesn’t demand too much of their attention. But is this really the answer to the declining attention span problem? In this blog post, we will take a closer look. What can be to blame for declining attention spans? What can marketers do to grab a customer’s attention before they lose focus? As we mentioned above, some marketers believe the answer is in creating shorter content. In plainer words, the whole “less is more” argument. Others argue for “shock value” types of content that captures the customer’s attention immediately or shouts the message at them in a way they cannot ignore. Many others say that we need higher quality content that not only captures, but holds a customer’s attention because it is valuable to them in some way. A lot of marketers also say that the answer depends on the medium, or marketing channel that you use to connect to customers. So who is correct? Unfortunately, nobody is. In the end, it all really depends on your product/service and audience. And to make matters more uncertain, there have been the concerns that declining attention spans point to an even greater shift taking place in the industry over the last few years: the entrance into a “no-read” era. If true, this will obviously demand some major changes in the way that marketers create content, especially for businesses that haven’t yet experimented with non-written content types such as video, voice, podcasts, or augmented/virtual reality. That being said, there are a few things that all marketers can learn to avoid in order to increase their engagement rates and decrease the chances of their customers getting bored or distracted, and thereby diverting their attention elsewhere. Read on! What are some common customer turnoffs that contribute to declining attention span? Load times are too long: Long load times are the modern day equivalent of waiting in line. Customers today just don’t have the time to sit around and wait for your website, email promotion, or signup form to load. Make sure you are staying on top of your load times by taking a website speed test every now and then and ensuring that your signup forms are bug-free. Pre-checked boxes and auto-play ads: Pre-checked boxes on your offer forms may be a sneaky way to get more signups, but it is also a good way to annoy your customer and take down your conversion rate. Not asking for their permission is rude and will definitely give them a reason to direct their attention elsewhere. It’s also a best practice to avoid auto-play ads, since these can be viewed as invasive. Letting the customer opt in to watch or listen has actually been shown to improve engagement rates. Signup and/or transaction process is too complicated: Eliminate the potential in their minds to question whether it’s really worth it by going through your signup and transaction processes yourself to see if they are as simple and painless as they can be. Lack of personalization: This is why it is important to do your research before every campaign. Marketers should know who they are trying to target so they can create relevant, personalized content that will pull in the desired audience. Lack of visual stimulation: Statistics show that customers process visual content faster than written content, so be sure to add some quality images, gifs, videos, or infographics to your content to grab their attention right away and make the most impact. Questionable/sketchy content or user experience: This includes anything that makes a customer fear that they won’t be getting what they signed up for or that you will use their information to spam or take advantage of them. Some examples include inappropriate or unprofessional content, trash talk about your competition, an abundance of ads all over the place, flashing popups, poor legibility, bad navigation, a lack of consistency in message or signup process, misrepresented product features/benefits or company credibility, transaction forms that don’t appear secure, and unclear or nonworking company contact information. Information overload: Providing too much information can split up attention and make customers lose sight of what they are signing up for, so avoid adding anything that they don’t really need to know right now. Make sure your call to action is clear and communicates to your customer exactly what they need to do next so that they don’t have to resort to guesswork. Too many choices: You definitely want to present your customer with some options, but know that unlimited choices has been shown to lead to decision paralysis. In what ways have declining customer attention spans affected your marketing campaigns? Be sure to tell us about your experience in the comment section below!